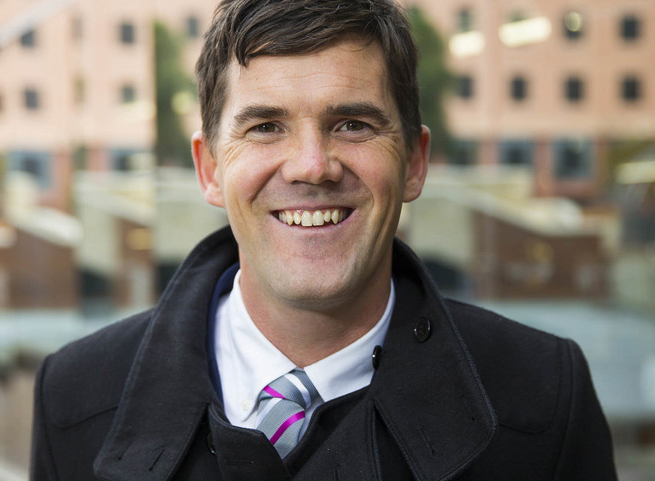 When I was first elected to Wellington City Council in 2010 the prevailing mind-set was that Wellington was facing a challenging time and Council should batten down the hatches. Wellingtonians were subject to comments that our city was stagnating or even dying. The advice was to consider implementing service cuts like closing libraries and swimming pools and to keep any new investment to a minimum. I disagreed. I thought the city needed to take a good look at itself and where its comparative advantages lay. Wellington needed to be bold and adopt a counter-intuitive Keynesian approach, like it had done in the 1990s. The reality was that if Government was prioritising its investment in Auckland and Christchurch and private business was contracting, then local government needed to step up. Which is what we have done. It was from this that the Council’s economic growth agenda emerged. The agenda was designed to stimulate jobs and growth. The organisation also needed fresh leadership to accompany a fresh vision. After a contested process Council appointed Kevin Lavery as its new Chief Executive. In 2013 when I was appointed Deputy Mayor I sought the role of Chair of the annual and long-term planning process, where my focus was to help set out the Council’s 10 year vision and investment programme and work towards its implementation. We have reached a critical first achievement of this vision. Recently Wellington City Council announced its intention to proceed with a combined Movie Museum and Convention Centre on Cable St. The Movie Museum, backed and inspired by Sir Peter Jackson and Sir Richard Taylor, is a monumental project. It will be an international drawcard and will comfortably rival Te Papa, the Cake Tin or any other undertaking in Wellington’s recent history. In the 150 years since Wellington became New Zealand’s Capital, I can only think of a handful of moments that have been as significant. To put it’s appeal in context, 50 years after the release of the Sound of Music 300,000 people visit Salzburg to see the film’s shooting locations. This experience is familiar to New Zealand given our history with The Lord of the Rings. In 2015, in the unlikely location of Matamata, 400,000 mainly international tourists will descend upon Hobbiton. They will take selfies in the Shire and have a beer at the Green Dragon. Many will then head to Rotorua, Queenstown and probably fly back home via Auckland. The Movie Museum will change tourism behaviour in New Zealand. It will become the most popular man-made attraction in New Zealand and Wellington will be front and centre on every tourist’s map. Our new Convention Centre will act as a neat foil to Movie Museum’s lure given the co-location of the two sites. It will provide a hosting facility for local, national and international delegates in the city. A failure to build it would have lost $17m a year from our existing conventions market and by co-locating the two facilities we will stimulate additional visitor growth and spending, which will in turn boost local businesses and generate jobs. Can Wellington afford the economic programme? Wellington is in a very strong financial position. Of course, you might think, he would say that. This isn’t my opinion; it comes from Standard and Poor’s (S&P). S&P recently confirmed its AA credit rating of Wellington City Council and, for a second year in a row, considered Council’s credit rating to be higher than that of the Crown’s. S&P stated: “We view Wellington City’s stand-alone credit profile to be higher than the New Zealand sovereign, but have capped the ratings at the sovereign level. The ratings reflect our views of the council’s very strong financial management and budgetary flexibility, strong liquidity, and low contingent liabilities.” Officially, it is impossible for a council to outrank the crown, hence the equal rating. The S&P rating also allows WCC to borrow at low interest rates and save a significant amount that would otherwise be spent on interest. Regarding debt levels, at the end of the 2014/15 financial year Wellington City Council’s debt was 84 per cent of revenue based on gross debt of $346 million against operating revenue of $451m. Wellington City Council also has commercial investments valued at $381m. In comparison, gross government debt was $86.1 billion on revenue of $66.6b and debt as a percentage of revenue was 130 per cent. The 2014/15 Auckland City Council annual report shows it had debt of $7.3b against operating income of $3.6b. Debt as a percentage of income in Auckland was 202 per cent. The comparison shows Wellington has a very robust balance sheet and a solid financial platform from which we can invest prudently in projects that further stimulate Wellington’s growth, boost business and create jobs. But we also need an effective, cohesive Council that can push through our economic programme. In future I look forward to helping make Wellington perform even better. Also, if you’d like to support the Ruminator to keep on ruminating then we have a wee pass-the-hat-around moment going on and we’d love your support. We’ll love you even if you don’t/can’t donate. We’re just nice people: https://givealittle.co.nz/cause/ruminator2016/. Will Justin support hiring women to build the museum? Will there only be men inside of the museum? Do we need a wusuem as well?